Should we feed the deer? Food conditioning is an inevitable outcome when humans share space with wild animals. Bird feeders, flowerbeds, vegetable gardens and lawns are enticing to deer. And when the animals are seen as cute and innocuous the temptation to offer even more food on top of that grows. 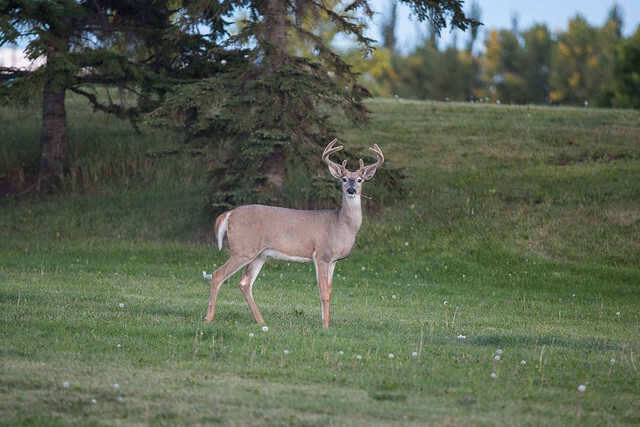 Supplementary food is likely a key factor in why the deer remain on the Edmonton Ethane Extraction Plant land for much longer periods than usual. They could be getting a significant source of food from the small, fenced-off area that is farmed. 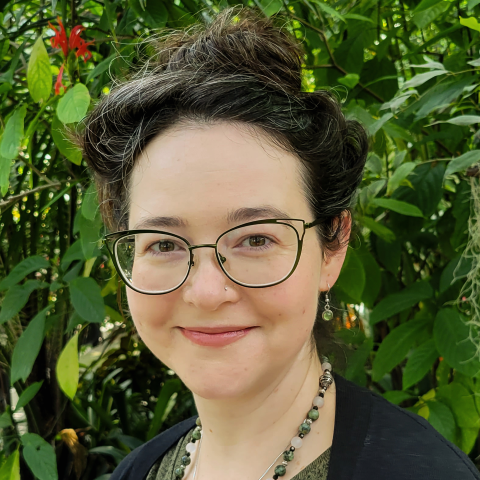 This year’s crop is canola, which is a very high source of nutrition that is often sought out by wildlife — wildlife biologist Colleen St. Clair notes that in Banff, bears often gravitate to canola seeds. And then there are the extras. He’s quick to point out, however, that the EEEP employees aren’t feeding the deer all the time because they don’t want to domesticate the animals. That’s the right impulse, says St. Clair. Animals subjected to food conditioning can experience a variety of problems, including increased aggressiveness, concentration of disease, attraction of other wildlife, loss of natural behaviours and even loss of the ability to forage adequately, so that they become partially or wholly dependent on supplied food. Alberta has experienced an increase in these cases: A number of wolves have been killed in Banff National Park this year after becoming habituated to human food, and an aggressive, food-conditioned black bear trashed a campsite and forced the closure of Castle Mountain campground in June. Wildlife experts expect the number of similar cases to keep increasing. It’s unlikely that predators like wolves and bears would ever end up living in a highly urban environment, as the EEEP deer have – we habitually relocate or destroy predators that have been food conditioned to stay near urban areas, due to their perceived threat. Deer are often overlooked in discussions about food conditioning because they aren’t considered dangerous, but that’s not always the case. Several communities in British Columbia have resorted to culling deer in order to deal with the problems of local overpopulation, including increased deer-vehicle collisions, attacks on pets and aggressive behaviour towards humans. 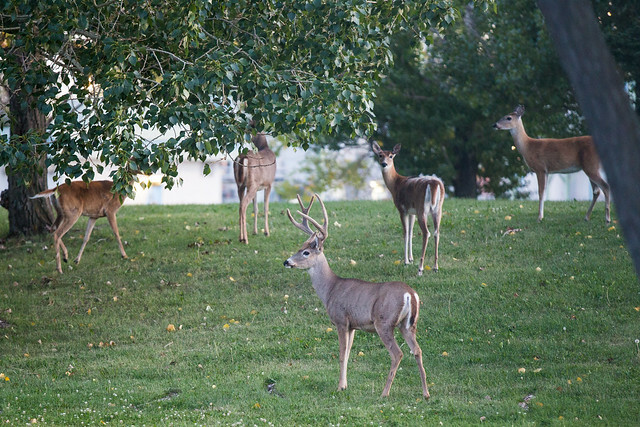 Since 2011, the communities of Oak Bay, Cranbrook, Invermere, Kimberley and Elkford have all had deer culls. St. Clair notes that mule deer, in particular, have shown a tendency to become aggressive in urban environments as their natural behaviour is to stand down and even stomp creatures that threaten them, especially when they have offspring. Food conditioning is undoubtedly occurring with the deer on the Edmonton Ethane Extraction Plant land, though the degree is undetermined so far. While the employees of the plant may limit the amount of supplementary food they are providing the deer, it’s hard to know how much they are getting from residents and the nearby canola field.